With no infrastructure required, Adaptiv allows utilities to immediately address specific needs on a strategic basis while building a complete two-way automated read system with billing system integration. 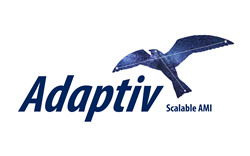 Nighthawk announced the launch of its Adaptiv AMI solution for Electric, Water and Gas utilities. Adaptiv is the most effortless AMI system to deploy and operate incorporating both public infrastructure and cloud computing. The Adaptiv system enables a broad range of advanced AMI features while using existing utility staff to implement, own and operate with no additional technical training. With no infrastructure required the system allows the utility to immediately address specific needs on a strategic basis as it’s built out over time. Customers can address critical items such as Remote Disconnect, End of Line Voltage Monitoring, and Outage Management on a tactical basis as time and capital allow. Net-metering and Prepay also plug and play seamlessly into the Nighthawk Adaptiv solution. This flexibility empowers utilities to extract maximum value from existing investments while transitioning to two-way AMI technology as permitted by time or budgetary restraints. Adaptiv utilizes existing cellular networks and next generation Mesh architecture eliminating the need to construct and maintain communications towers and proprietary wireless networks which traditional two-way metering systems require. Utilities can begin rolling out meters anywhere in their service territory whether urban, suburban or rural. Nighthawk will work with the customer to find the best blend of cellular and mesh endpoints. All of the communications are under the glass so the implementation is as simple as installing a meter. The Mesh communications provide a self-creating and self-healing network with daily health checks to ensure the system is always reachable and reporting. This communications flexibility and Nighthawk’s cloud-based head-end software enable MDM and billing integration while allowing for any deployment strategy. Nighthawk’s award-winning hosted solution provides a feature rich environment allowing full control and read capability. From the day meters are installed they are fully functional and ready for operation in the system. Over the air features can be activated or deactivated to meet the utility’s needs. System alerts and notifications are readily available providing proactive information for events such as outage and low voltage. Using common protocols and definable API’s the Adaptiv software can provide reads and other critical information to any billing or back-office system. Adaptiv has been praised for its robust security and ease of use. Billing and IT departments love the Nighthawk Adaptiv solution because our cloud based software requires no internal support and is always up to date with the most advanced security features. Adaptiv was developed for utilities who are looking for advanced AMI features but don’t have the resources or staff to manage a complicated and expensive system. This solution allows utilities to enjoy the benefits of AMI without the full upfront investment of time and money required by traditional systems. Utilities will enjoy the ability of rolling out AMI as time and budgets allow while realizing the rewards of a next generation system immediately.